Ready to get your craft on? 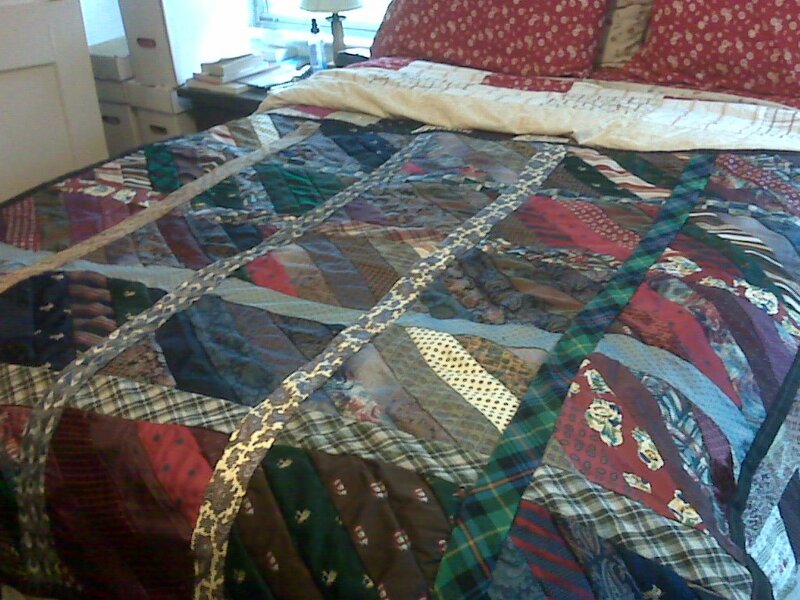 Here are 10 ways to upcycle those vintage neckties! 1. Need to organize your craft supplies or tools? 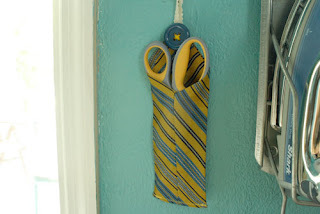 You can turn an old necktie into a hanging holder! 2. 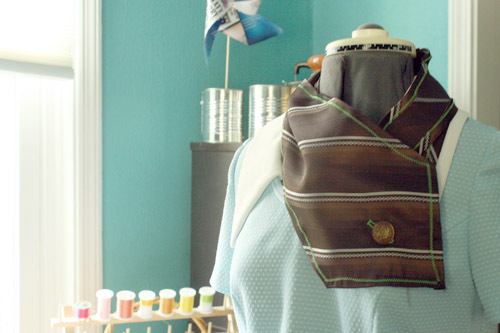 Grab your seam ripper and reconstruct an old necktie into a fancy cowl. 3. 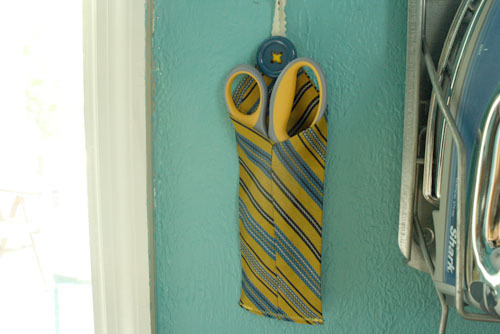 At Dollar Store Crafts, they made this necktie bunting for Father's Day, but you could use this idea to whip up bunting for any occasion. 4. Grab a few coordinating ties, and make yourself a cute, patchwork purse. 5. Got a lot of neckties? Like, a ton of them? You can make them into a beautiful quilt! 6. Next time you're making a tote bag or purse, use a necktie as the strap instead of sewing a strap or buying webbing. For extra pizazz, attach the tie to the outside of the bag, rather than tucking the ends in. 7. Need a new dress? I am in love with this sweet necktie dress over at Craftster! 8. Do you have a necktie that is just a little...blah? Jazz it up with a freezer paper stencil! 9. Even if you just have necktie scraps in your stash, you can whip up this stylin' corset belt from Craftster.